In the formative years of Joseph Smith's life a series of events unfolded which led to the restoration of the Church of Jesus Christ of Latter-day Saints. Joseph Smith had received a series of divine manifestations as a young man in Palmyra, New York. He shared these events with his family and friends. It became necessary for Joseph to seek employment wherever there was opportunity. In the month of October, 1825 in the Colesville Township, upstate New York, he was hired by an older gentleman named Josiah Stowell (Stoal) who introduced him to Joseph Knight Sr. Joseph said in his personal history located in The Pearl of Great Price 1:55 “ As my father’s worldly circumstances were very limited we were under the necessity of laboring with our hands, hiring out by days work and other wise as we could get opportunity……….” Joseph Smith Jr.
Over the next 2 years he worked and boarded with both of these families until his marriage to Emma Smith in January of 1827. He shared his heavenly experiences with both of these men and their families and many believed. They continued their friendship throughout their lives. Joseph Knight and Josiah Stowell were staying in the Smith home on September 22, 1827 and were privileged to be eyewitnesses of the events that unfolded that night. Joseph shared with Mr. Knight and Mr. Stowell details of the "Gold Plates" he received that night. Subsequently, after the Church was organized in Fayette, N.Y. on April 6, 1830, the Knights, Josiah Stowell and many of their family and friends believed and were baptized in June of 1830. 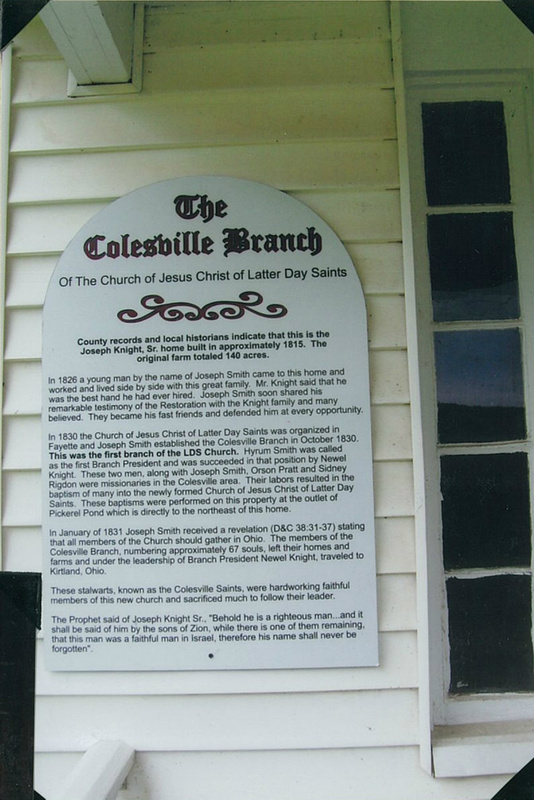 The Knight family was the nucleus of the first branch of the Church of Jesus Christ of Latter-day Saints, “The Colesville Branch”, newly organized at the September conference in Fayette. The events which then unfolded were the humble beginnings of a kingdom which would fill the world in the coming years. The Colesville Branch was at the heart of it. 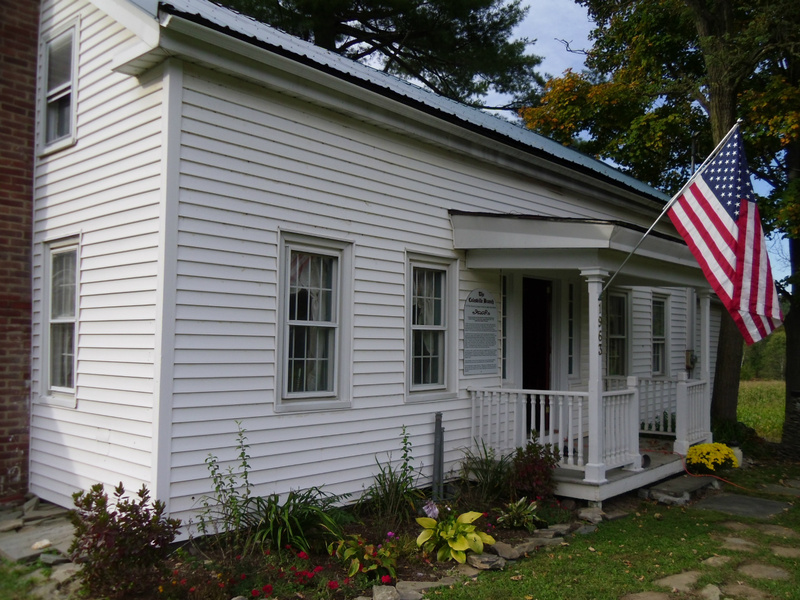 This blog will explain the re-discovery and restoration of the original farmhouse owned by Joseph Knight Sr. which was also the first home of the "Colesville Branch". The two story house with its ridge abutting into the top of the chimney is the original 1815 Knight home. The roof slope continues off the back over a one story "lean-to room", common to the architecture of the day. The porch in the front, as well as the rest of the existing house, are additions up and through the 1930''s. The well in the foreground is the original well dug by Joseph Knight Sr. shortly after the home was constructed and was a functioning shallow water well until 2013. The structure over the well and the rock work above ground level are additions. This photograph was taken on Memorial day of 2014. There will be an updated photo presented in this blog in June of 2015 showing the everchanging improvements. 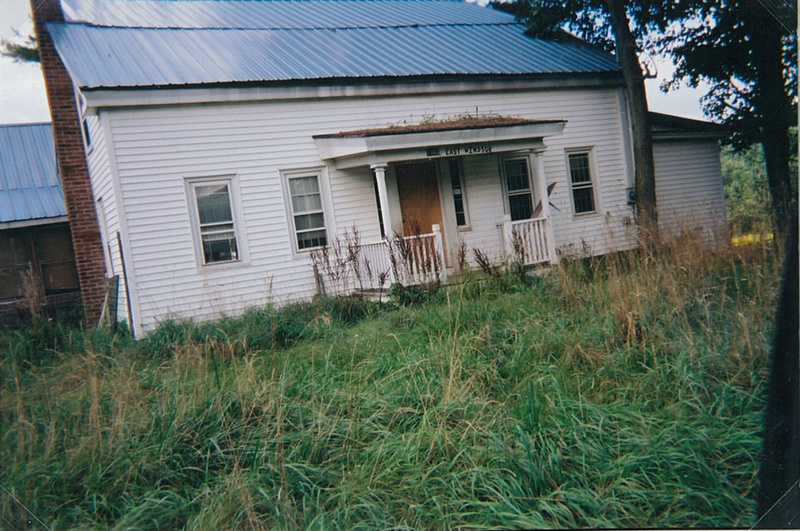 The way the home looked in August of 2005. In memory it seemed to have looked much worse. A photo cannot capture the fact that the basement was in a near cave-in condition and the interior of the house was typical of a home vacated for six years or more, which is the death knell for a 200 year old frame structure. During the time Larry C. Porter, Phd, was working on his dissertation "A Study of the Origins of the Church of Jesus Christ of Latter-day Saints in the States of New York and Pennsylivania", he happened to knock on the door at 1963 E. Windsor Road in Nineveh, NY, and inquired as to whether the home might be the old Joseph Knight Sr. farmhouse. The lady who answered the door assured him that it was and told him she had some papers he might be interested in. As she left to get the papers her husband appeared at the door and after inquiring of Mr. Porter what the purpose of his visit was and whether or not he was "Mormon", he unceremoniously asked Porter to leave with the stern warning to never return. During the ensuing 34 years the house sat, in obscurity, waiting to be rediscovered. What follows is the story of that re-discovery. 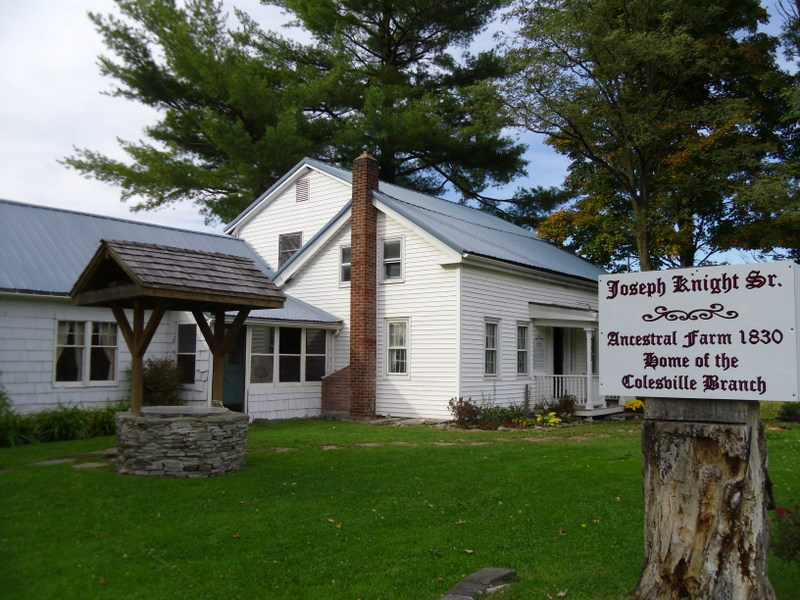 In 2004, during the course of restoration work on the Josiah Stowell home, the Afton, NY town historian, Charlie Decker, asked if we would be interested in seeing the Joseph Knight Sr. farmhouse. Of course we were interested, but a little skeptical as to the surety of his claim regarding its authenticity. Charlie commented, with some indignation, “it’s the Joseph Knight House today and it was the Joseph Knight home when it was built. I know it, my father knew it, my grandfather knew it and my great grandfather knew it. It’s always been the Joseph Knight home”. Since then we have procured provenance documentation that verifies his claim. We first drove by the farmhouse during the summer of 2004. It was deserted, overgrown with tall weeds and very shabby in appearance. We made a collective decision right then that somehow or someway we should purchase the property. After researching ownership and legal status of the property, we found the foreclosing mortgage broker in Hoboken, NJ. An offer was tendered which the broker accepted. In accordance with New York state law we then had to wait a year to take legal possession of the property. We commenced the cleanup and restoration work in August of 2005 and have been working on it ever since. The site is approximately 9 acres in size, (700' fronting the Susquehanna River), a small pond and the house with its several more modern additions. Originally we planned on a simple renovation, as opposed to restoration, for the enjoyment of our re1spective families as a vacation home, but that changed during the length of time it took to kneel in a dedicatory prayer. We were moved by the Spirit, knowing that we had been directed, or more precisely called as stewards to restore and preserve the home for the enjoyment, education and spiritual quickening of the membership of the Church, and hopefully the contiguous communities residents. In 2010 we changed the ownership from our personal names to the Colesville Branch Restoration LLC, an Arizona Corporation. In 2012 we incorporated as a non-profit Arizona corporation and subsequently received 501(c)(3) status from the IRS . The joy we have received in seeing the spiritual transformation of the Saints in the area and the softening of hearts of many nearby neighbors has been gratifying beyond words. We appreciate the interest and kindness shown by so many people; those who have contributed financial support and those who have taken the time to labor in the restoration. One particular event is worthy of recounting. In November of 2012, this writer was working alone in the house. We had previously discovered a window that had been covered with sheet-rock on the inside and vinyl siding outside. The window happened to be one of three original windows in the home. It came out easily and was set aside so that the vinyl siding could be more easily removed and the rotted window-casing repaired. In attempting to put the window back in its now repaired casing it became jammed and the window ended up in a rigid trapezoid. The harder I tried, the more rigid it became. Fearful that prying or forcing the window might break or damage it, I took it out and laid it on the floor where it balanced on two opposing corners, out of square and out of plumb. "I turned my back to pick up a wide blade chisel so that I might carefully work the frame when I heard a sound. Turning around I found the window in a perfect rectangle on the floor, each window sash in its own track and in perfect form. My first inclination was bewilderment, even shock, then a perfect understanding immersed my soul and I understood that this was a 'tender mercy', someone was watching who cared." 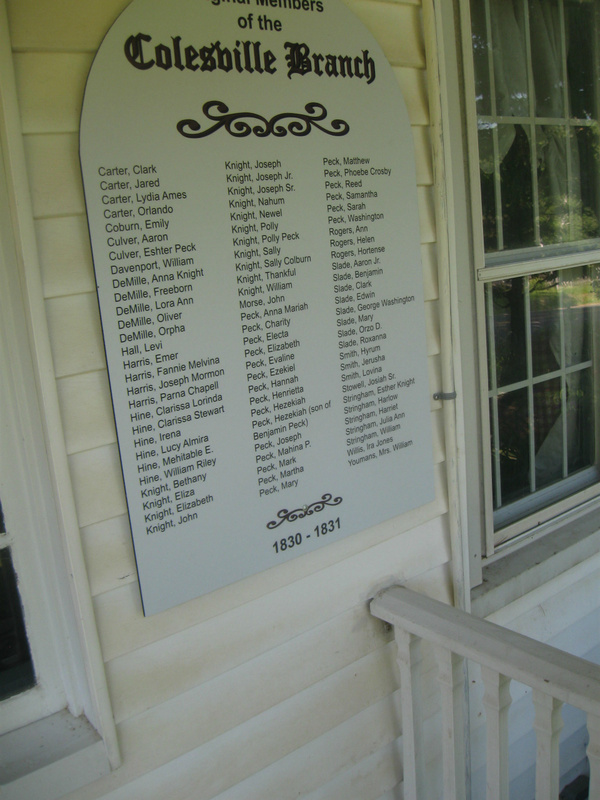 Thanks to the diligent research of our friend Larry C. Porter, this plaque identifies eighty three members of the Colesville Branch at the time of their migration from Colesville, New York to Kirtland, Ohio in mid April of 1831. Of the eighty three members of record, sixty six relocated in April to Ohio, then again to Independence, Missouri in July of 1831. These beloved Saints were, with few exceptions, faithful in their alligiance to and love of the Prophet Joseph. 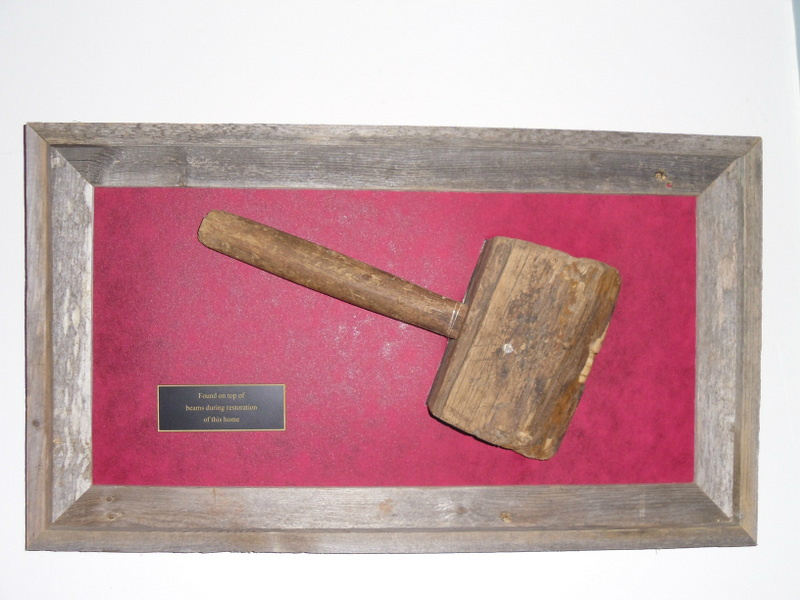 While in the process of restoring one of the lower rooms, this wooden mallet "Froe", circa 1800's, was discovered. This tool was used to drive wooden pegs through posts and into beams. We discovered that the house was constructed, throughout, with posts and beams and wooden pegs. Hanging on the wall above the bust of the Saviour is Newell Knight's testimony. 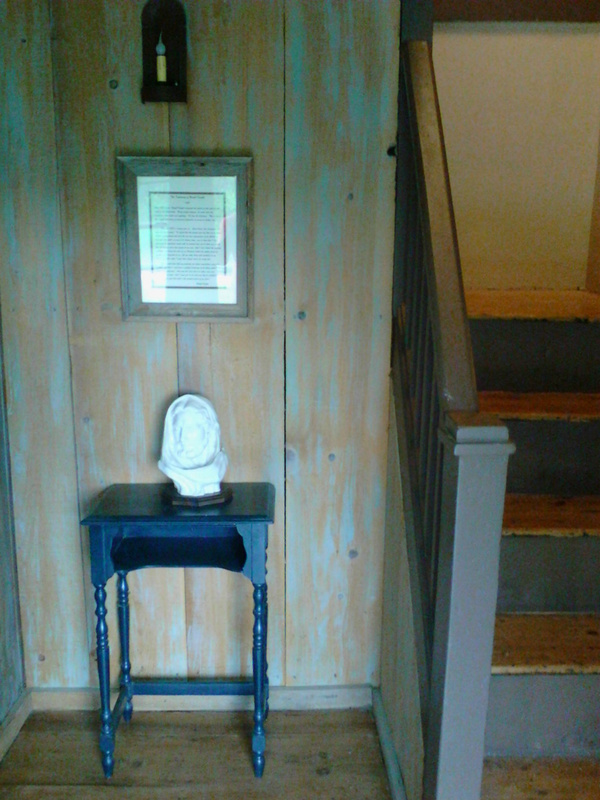 Since this photo was taken, the stairs and floors have been refinished. His testimony follows as extracted from his journal. "The year 1830 is closing upon us. Great things transpired, too great for pen to paint. To reflect that the closing year has been one to which all future generations will date the rise and organization of the Church of God upon the earth, no more to be thrown down, and to know that I have witnessed the important events with my natural eyes and to know of a surety that the heavens have been opened to my view, that I have beheld the majesty on High and heard the voice of my Redeemer which has spoken words of comfort and instruction to me, fill my whole being with gratitude to my Heavenly Father while I write these things which are verily true. And I write them that my posterity and future generations may know of them, and that I may leave a faithful testimony of the things which I do know to be verily true. And may the Lord bless me with a wise and understanding heart, that I may ever do his will and help to establish his great purpose upon the earth is the greatest desire of my heart."